As Facebook continues to amass enough force and influence to rival a superpower, its ad targeting is not only the social giant’s biggest liability, but also its forte. Entire countries, global populations, legislators, and advertisers both seethe and marvel at its prowess. And Facebook finds itself caught in a conundrum created by its own success. One thing is clear: Digital advertising on Facebook is skyrocketing. Most advertisers haven’t been dissuaded by the company’s negative press — because the crisis has yet to directly hit them. However, history shows that brand safety isn’t a given on the internet. Facebook needs to rein in its own power – not just in testimony, but also in practice — so that it can placate regulators and a very concerned public before the next scandal hits. Russia’s interference in the 2016 U.S. election is obviously one of the biggest examples of what ad targeting intended to spread propaganda and misinformation can do if left unchecked. Some 3,000 ads reached nearly 146 million people with a paltry $100,000 ad buy. And some ads had the explicit aim to exploit contentious issues like gun rights and illegal immigration. Coordinated campaigns operated by fake accounts liked, shared, and commented on these posts. If you spend any time on Facebook, you know intuitively what this means: More interactions increased the chances someone would see these post. Russia, in essence, practiced what research is only beginning to confirm: Moral outrage in the digital age is akin to pouring gasoline on a fire. Meanwhile, Facebook’s ad targeting tools help to keep the moral outrage burning. Russia may be the biggest example, but it’s certainly not the only one. Take China. The country may ban Facebook within its borders, but Chinese companies purchase thousands of dollars in Facebook advertising every quarter to help spread its state-sponsored propaganda. That means the typical news you’d see on Chinese television, which touts the country’s prosperity and stability relative to global crises and is subject to massive censorship, reaches far beyond the average worker in China. It’s a digital extension of China’s own foreign policy and entrance into other countries. It’s no wonder rumors Facebook is also eavesdropping on our conversations are popping up. Some have debunked the myth, but only because, they say, Facebook is already too powerful to even need to consider that. Here’s the deal: Facebook’s ad targeting is so scary because it works so well. In the middle of this political mess (and consumer concerns about sacrificing our data and ourselves to Facebook) it’s likely that there are marketers who interpret the Russian campaign as impressive. It’s basically a selling point for cheap targeted advertising on the social giant. Any type of post can be promoted on Facebook. Should Facebook, which largely requires people to use their real names (unlike Twitter), create more restrictions on who buys ads and sets up Facebook Pages, requiring more information and verification? One would assume that an up-and-coming restaurant would be willing to invest the time to apply for verification. However, there are those who will grumble at the tediousness. Other critics might wonder why Big Brother Facebook must have the responsibility of verifying the credibility — and by extension, morality — of these buyers. But as frightening as it may be for some to admit, Facebook is already a Big Brother. Advertisers, or anyone who wants to promote their brand to the world, for that matter, can’t afford to sacrifice the unparalleled scale the company offers. There may be other tech companies, but there is no other Facebook. The social behemoth has pledged more transparency and more hiring of ad reviewers, but that will never be enough as long as scandals continue to come to light. Congress may not be satisfied with self-regulation alone. And ultimately, Facebook will have to rein in its overwhelming power and set up checks and balances – even if it takes a short-term hit on revenues – to satisfy an angry public. Personalization without people: What happens when no one can track consumers? The alignment of new laws, reader advocacy, and technology has opened up a challenge to user tracking tools. While some express concern that an end to unbridled tracking will hinder the digital ecosystem, this is an enormous opportunity for publishers to take the lead in building the next generation of personalization technology. However, this evolution in personalization will need to be built on a foundation of editorial metadata, which will drive everything from video playlists to targeted advertising. A new type of personalization that eschews user-based targeting is coming. In part this will be driven by the fact that many analytics, ad tech, and personalization-tech companies will be deeply affected by the EU’s General Data Protection Regulation (GDPR). An AdAge headline once proclaimed that the GDPR will “rip global digital ecosystem apart.” While that may be a bit alarmist, the GDPR will force companies operating within the EU, and the third party tools they use, to adhere to a strict opt-in for all tracking. It will also levy severe penalties on those companies within EU jurisdiction that fail to do so. The omnipresent motivation behind the law, though, has failed to prompt the development of similar legislation in the U.S. Despite results and sentiment that suggest otherwise, targeting remains central to many marketing strategies. Brands have found user targeting programmatic campaigns less effective than they expected. Consumer groups have formed in protest of the functionality of user tracking in action (such as ads appearing with no regards to the content they appear on). Individuals on social networks find retargeting approaching some sort of uncanny valley — a point at which its very accuracy is becoming deeply discomforting. And we’re even seeing the start of a conversation around user targeting happening in Congress. Publishers have a mission to treat their readers and viewers ethically. The good news is that smart publishers can (and do) run user-targeting related tools on that basis. The personalization of ads and news has become a significant trend, one that many are still chasing. However, the fundamental underlying technology is challenged by the GDPR. Even if publishers never conduct any business outside of the U.S., the vendors who power personalization tools do. We operate on literal reams of data but must face a future where comparatively little is available. These oncoming shifts in the marketplace shouldn’t frighten publishers. They are likely to hurt the thousands of middleware third-party ad tech companies that have failed to deliver on user targeting for years now while skimming profits. A push to decrease both publisher and advertiser reliance on user targeting is an opportunity. Publishers need to take a look at the new generation of tools that can provide the data needed for personalization on-page without ever tracking a user. Metadata standards are improving and adding detail. Our current tools consider article relationships mostly in keywords and categories but new ways of telling the story about a story could bring about a revolution in personalization. Regardless of how successful the fact checking markup project becomes, it demonstrates that page-to-page relational metadata is joining other complex metadata systems as part of the future of publishing. With privacy concerns on the rise, it behooves publishers to start considering these systems as part of the future of personalization. Beyond keywords and tags, there is an embarrassment of new options for metadata that can create a unique experience on each webpage more tailored to the moment the reader encounters an article than following them with cookies ever was. While a reader might have been shopping for shoes yesterday, what they read today may put them in a very different mindset. 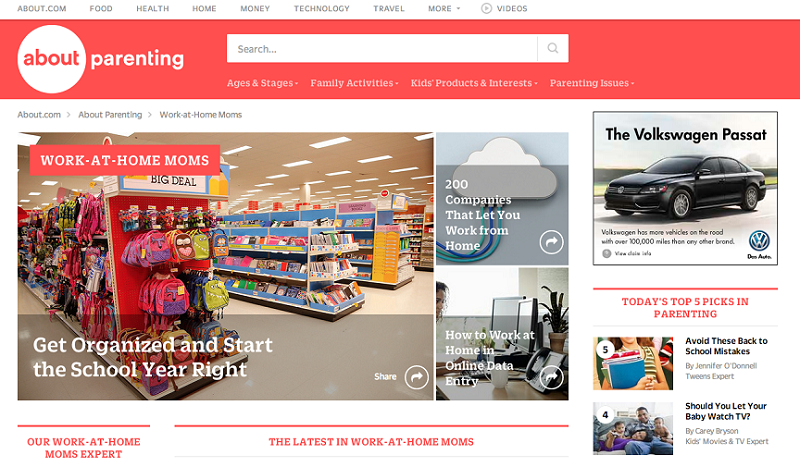 And the reader of today is a more useful target for personalization than the reader of yesterday. What can we build on using enhanced metadata? Geographic coordinates could drive a set of recommendations even more relevant than attempting to geotarget the user. Article authorship has worked well for media companies where the byline promises a particular voice. We can build playlist systems that find their next videos through more than title keywords, looking at producer credits, length and related affiliate offers. Types of content or referenced urls in the body of an article can allow personalization tools to recommend other articles that share a particular format, or ads that sell the referenced type. Taking advantage of these opportunities will require different ways of thinking about what everyone creates and how it breaks down. It won’t just be up to an SEO expert to drop tags on a page. News organizations will find that optimizing for search, social, or ads will require taking advantage of all the opportunities that complex metadata provides and operating within a larger plan for how metadata should be handled. The editorial and business sides will need to work together to consider the whole of outlets’ output, prioritizing approaches, and building out tools that automate and suggest metadata structures. Owners of this process will need to consider personalization on a variety of factors that describe form, format, key ideas and digital objects. They’ll have to build out a framework on how articles connect to each other that will describe small universes of content. A site that takes full advantage of metadata structures can promise a richer experience for readers, viewers and listeners than any provided through cookie-based tracking, an experience based on in-the-moment intent. Our current generation of overly-targeted ads and recommendations don’t just fail to perform, they’re creepy and overpriced. Our audiences deserve more and our ethics require that we provide it. We have the technology and industry pressure to deploy successful alternatives. Understanding, expanding and adapting the use of detailed metadata across the web will build better media companies and a better open and well-connected internet. Aram Zucker-Scharff is the Director for Ad Engineering in The Washington Post’s Research, Experimentation and Development group. He is also the lead developer for the open-source tool PressForward and a consultant on content strategy and newsroom workflows. 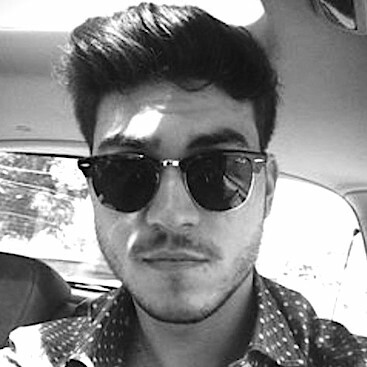 He was one of Folio Magazine’s 15 under 30 in the magazine media industry. He previously worked as Salon.com’s full stack developer. His work has been covered multiple times in journalism.co.uk and he has appeared in The Atlantic, Digiday, Poynter, and Columbia Journalism Review. He has also worked as a journalist, a community manager and a journalism educator. The majority of advertisers chose viewabilty as their campaign objective, followed by click thru rate and view thru rate according to a study by data software company Videology. 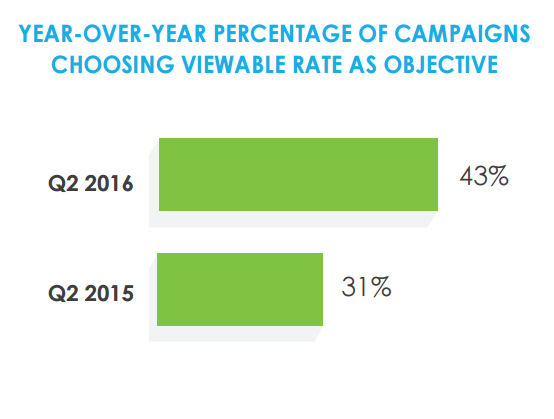 Of all campaigns that ran on the Videology platform in Q2 2016, 43% used viewable rate as an objective KPI. Of those campaigns, 89% chose to measure viewability using the MRC standard (50% of pixels on screen for at least two consecutive seconds) while the additional 11% chose to use their own custom standard for determining if an ad was viewable. Advertisers continue to emphasize demographic, geographical and behavioral data to target their campaigns. Over half of all campaigns Videology analyzed used behavioral targeting, while TV Viewing accounted for 14%, with advertisers looking to add incremental reach to their TV buys. It is interesting to note that more marketers are emphasizing the need for in-demo delivery of campaigns, a metric originating from the traditional methods of non-programmatic TV buying; Videology has seen a 115% year-over-year increase in the number of campaigns using Nielsen or comScore to measure in-demo targeting success. Cross-screen advertising saw a 20% year-over-year increase (compared to Q2 2015), with the bulk of the activity consisting of combined PC, mobile, and connected TV placements. Campaigns using PC alone made up just 12%, a fraction of where this was one year ago when they made up a quarter of all placements. The advertising industry consists of the buying and selling of your attention between third parties without your consent. That means that the cost of producing the good – access to your attention – doesn’t reflect its full social cost. Since advertisers pay less to access your attention than your attention is worth to you, an excessive (inefficient) amount of advertising is produced. For the web, though, there is still time to turn advertising into a net positive, if we fix a few things. The main reason advertising exists is to help deal with information asymmetry. Nobel Prize-winning economist George Akerlof pointed out that, in a market where low-quality and high-quality sellers compete, and sellers know their products better than buyers do, high-quality sellers have trouble staying in business. When the buyer can’t tell a low-quality car, a lemon, from a high-quality car, no buyer can justify paying more than a lemon’s value for any car. Over thousands of years, people have figured out ways to deal with Akerlof’s market for lemons problem. Licensing of sellers, product reviews, and protecting trademarks are all ways to give some advantage to quality sellers. Old world advertising used to be the same, the very act of investing in TV, buying a premium billboard, taking an ad in Vogue, became brand building because of the cost, not despite. The general public doesn’t know rate cards, but there was a tacit, enduring, innate feeling that companies that advertised were companies of quality. [P]erceived expense influences perceptions of brand quality, which in turn is the most critical predictor of a participant’s inclination to purchase a brand. Like banks housed in grand marbled buildings, companies which pour vast amounts of money into advertising campaigns must be supremely confident about the quality of their products and its long-term sales. Otherwise they couldn’t afford to burn so much money on ridiculous Super Bowl ads. This argument rather reminds me of John Maynard Keynes’s suggestion that in a recession caused by a collapse of aggregate demand one could solve the problem by burying bottles filled with bank notes and then leaving it to private enterprise to dig them up again. But signaling isn’t just based on the production values of the ad. Ads appear with content. Signal is proportional to the value of the content, not just the ad itself. In signal-carrying media such as magazines, a positive feedback loop can emerge. Valuable signal-carrying ads bring in money for content, whose quality and perceived cost increases signaling power, therefore ad rates, and so on. This can make a signal-carrying medium a great business to be in. But when advertisers try to target users individually, signaling breaks down. Targeting turns an ad into the digital version of a cold call. Targeted ads tend to “burn out” the medium in which they appear, through a Peak Advertising effect. Each new targetable medium falls in value and popularity as users figure it out, filter it, or get their governments to restrict it. Even when a web ad appears on expensive content, it fails to carry the signal that it would convey in a less targetable medium. Users are aware that ads “follow them around,” so instead of viewing an ad as part of an expensive, signal-carrying ad buy, even an ad on high-quality content could be an example of cheap targeting. The two extreme positions on web ads each miss something. Ad blocking everywhere and eliminating ad-supported content is clearly suboptimal. The existence of magazines that people voluntarily subscribe to is proof that some level of advertising can work. The other extreme is anti-adblocking, telling users to stay in an unprotected, targetable state. This doesn’t work, not just because of the malvertising problem, which make some protection a necessity, but because of signaling failure. A third way is needed. Fortunately, tracking protection tools are able to block cold-call-like targeted ads while permitting signal-carrying ads. Instead of waiting for more and more users to give up on advertising and get an ad blocker, publishers can help and encourage users to run tracking protection tools instead. But if sites fail to turn the web into a signal-carrying medium, web ads could slide into a no-win struggle like email spam/anti-spam, and anti-advertising philosophy could turn out to be right after all. Don Marti (@dmarti) is a contributor of code and documentation to the aloodo.org project, a low-friction way for sites and brands to reclaim the value of online advertising from fraud and ad blocking. He is the former editor of Linux Journal. Don is the subject of an out-of-date Wikipedia article, which he will not edit himself, but wishes that someone would. Mobile has changed the way we think about digital audiences. Before the advent of the ubiquitous mobile phone, traditional marketing and advertisement strategies that were “location based” had a very different meaning than “location based marketing” does today. Options for location-based mobile audiences have expanded far beyond the simple geo-fence campaign, and offer both sophisticated targeting options and insights on reaching the consumer on their mobile device with the right message at the right time. No longer just a tool for “in the moment” targeting, major brands are now leveraging the rich contextual information that location provides to create highly-targeted audience segments, enabling them to strategically target consumers at specific points in their day, not just when they’re within close proximity of a brand’s store or restaurant. For many major brands, the use of audience targeting is still a fairly new tactic, yet one that is predicted to explode in popularity in the coming years due to its ability to yield an incredibly high lift in store visitation (SVL), particularly when used in combination with more common proximity targeting tactics such as geo-fencing. Leveraging the data behind location-based audience. Collective, Inc. has been granted a patent for its technology that targets online advertisements to consumers based on their TV viewing habits by anonymously linking linear television data to digital across multiple screens. They filed for the patent in 2011 when they launched TV Accelerator, and CEO Joe Apprendi describes the four years since as “pretty interesting” given the industry’s increasing desire for cross-platform measurement in that time. While Collective has been successful deploying its own solution, Apprendi says “now that we’ve got the patent, we’re excited about trying to make this as the standard in the market and establishing a licensing model around it.” Their U.S. Patent 8,949,890 protects the company’s offering and reinforces Collective’s expertise in multiscreen advertising. Collective, says Apprendi, has a head start given that they’ve been doing this for a decade already and have core capabilities focused on data-driven programmatic advertising and on providing audience contextual data to deliver targeted ads across platforms. Apprendi believes that most marketers are buying publishers’ channels as a proxy to reach a target audience but they should actually flip that thinking in order to make better decisions about where to make big direct investments. “Let’s not make those decisions until I buy programmatically across platforms, screens and media brands to see which avenues and media brands perform the best.” Then, he says, marketers can make better decisions about where to make a significant direct investment. In a survey of over 1,600 people aged 20 to 60, ad tech company InSkin Media and ad agency RAPP found that more than half of the consumers are put off from buying a product if the see the ad multiple times, particularly on unrelated sites. The study also showed that ads displayed on a well known sites are likely to be viewed more favorably by the the consumers. To see MediaTel coverage click here. This Q&A interview is part of OPA’s “Three on Three” series where we ask three industry executives the same three questions on a topic to uncover actionable insights… If you want to learn more, keep an eye out on our site for more interviews. This Three on Three interview is with Avi Steinlauf. CEO Edmunds Inc., on Putting Data to Work. A: Data is the backbone of Edmunds.com. Consumers who visit our site use our automotive data to shop for a car. And, with a deep regard for individual privacy, we collect clickstream, lead and transaction data that illustrates aggregate car shopper behavior in order to present our automaker and dealer partners with tangible insights that they can apply to their business. We also analyze traffic to specific dealership inventory listings and carefully monitor consumer reviews of dealerships to ensure legitimacy and to help dealer partners pinpoint issues that may be hampering sales. I’m pretty sure that our attention to our consumer reviews is likely one of the reasons that Edmunds.com was named — along with TripAdvisor, Zagat and OpenTable — one of the most trusted prominent online review sites in Maritz Research’s 2013 Online Customer Review Study. That study examined 13 high-profile ratings sites; Edmunds.com was the only automotive site listed in the top ten and it ranked fourth overall, outperforming Yelp, Google+, Hotels.com, City Search and others. Of course, we also collect data that allows us to make improvements to our own website user experience. A: Well, I think the way that we approach the use of data for advertising in general might be a better answer here. We have an innovative “dashboard” through which our account managers can help our business partners understand all sorts of performance data. For example, we can show how many Edmunds.com visitors spent time shopping online for particular vehicles—slicing the data by make, model and/or segment—to help our partners market their vehicles. Our sales team can also help an Edmunds “Promise Partner” dealership review its performance relative to other dealerships. For example (see picture below), data might show that a dealer is providing Edmunds.com visitors only with exterior colors of its inventory 60% of the time. This means that in nearly half of the searches in which car shoppers are specifying a desired color, this dealer’s vehicles will not be included in search results. Additionally, this dashboard illustrates that the dealer is below average in its designated market areas, both in terms of number of consumer ratings and reviews, and in terms of the score, for sales and service. So, when this dealer’s inventory appears on the Edmunds site, its listings will show no stars to 2 stars based on 1 review, which does not make them very competitive. These dashboards make our clients aware of opportunities to make positive changes that will affect their bottom line. We find that the real-time analysis is tremendously valued by our clients, and is a huge differentiator from our competition. A: Privacy is extremely important to us here at Edmunds.com. We have been told by our site visitors that they trust us, and we intend to always be as helpful and reliable as a friend. We use non-PII [personally identifiable information] data to help build better products for our website visitors and clients. By entering a ZIP code, car shoppers can gain access to locally relevant information such as nearby dealership inventory, regional True Market Value® prices, and average vehicle ownership costs specified by year, make and model. Many of our site visitors choose to also give us PII data in order for us to help make their car shopping experience easier. For example, to receive a Price Promise certificate (which guarantees a locked-in, upfront price from a dealership), a car shopper will opt in to provide to Edmunds.com his or her name, phone number and email address. We make it crystal clear that this information will be used by Edmunds.com to facilitate a useful connection to the dealerships selected by the car shopper. Our site visitors know what we will do with the data, and we don’t do anything more. From a process perspective, that data is segmented and has strict access control so that we can maintain the privacy of our site visitors as we deliver a service that they requested from us. Avi Steinlauf is the CEO for Edmunds Inc. He is responsible for managing Edmunds’ operations, including its 550 employees headquartered in Santa Monica, CA, its satellite office in Detroit, MI, and its field sales force located across the US. Avi also serves as a Director on Edmunds’ Board of Directors. Since joining the company in 1998, he has been responsible for developing and cultivating relationships with a number of Edmunds’ key partners. Positions Avi has held at Edmunds include President, Chief Operating Officer, Executive Vice President of Strategy & Development, Vice President of Revenue Management, and Vice President of Marketing. Before joining Edmunds, Avi was a Senior Industry Analyst for Coopers & Lybrand’s Knowledge Strategies Group in New York. Since 2006, Avi has been a Board Member for the Online Publishers’ Association, a not-for-profit trade organization dedicated to representing high-quality online content providers before the advertising community, the press, the government and the public. Avi is also a member of the Young Presidents Organization (YPO), Golden West Chapter and serves as the Communications Chairman for YPO’s Automotive Network. This Q&A interview is part of OPA’s “Three on Three” series where we ask three industry executives the same three questions on a topic to uncover actionable insights… If you want to learn more, keep an eye out on our site for more interviews. Today’s Three on Three is with Colin Decker, Group Operating Officer of Discovery Digital Networks, on Putting Data to Work. A: Having a solid foundation of data-driven decision-making is really mandatory at this point. You simply must have a well-defined methodology for the “why” of using data as well as talent and staffing to handle the “how”. And it’s not just a matter of generating reports. To really use data means that every member of your team must feel confident asking questions and be enabled to proactively seek the answers without depending on a separate research group. At Discovery Digital Networks, we use a combination of publicly available data sources as well as a series of proprietary purpose-built systems to inform what we do day-in and day-out. On both the Editorial and Sales sides of our businesses, the ability to react in real-time to audience demand is a critical capability as we define the digital video marketplace. A: We spend a lot of time mining data for signals and trends. At Discovery Digital Networks, we have many shows that publish multiple times per day so a typical exercise is to look at topic and category performance throughout the week. DNews is our twice-daily science and curiosity show that covers all types of weird, geeky cool facts. As we mined audience, engagement and sharing data over the course of several months, we noticed a small signal that seemed to indicate that space-themed programming performed better on Fridays. To test the signal, we created “Space Fridays” and saw a near 4x increase in all our audience metrics. The next natural question is “why space and why Friday?” but for now, we’re content to have better served the DNews audience with what they are wanting to see from us. A: It’s a reasonable concern when you think of user retargeting or leveraging transactional data to inform programming selection. While it’s great when Netflix makes a relevant movie suggestion based on your prior consumption, I don’t think I want my Kindle to suggest “Mr. Mom” because I just ordered diapers online! On a more serious level, the Edward Snowden NSA affair has opened everyone’s eyes to the fact that you don’t need to break the law to invade privacy. Data “triangulation” threatens to open too much information up to bad guys and marketers alike. I think we’ll see an inflection point in the coming 2 years where the average consumer grows to understand this and we’ll see more meaningful push-back to the harvesting and misuse of personal data. Colin Decker is a media leader who has played a guiding role in the confluence of Television, web, video and social media. He has held programming, strategy and executive management roles at Current TV, Yahoo! and Virgin Investments. Colin is a frequent speaker on emerging media and has held teaching appointments at Boston University and Harvard University. This Q&A is part of OPA’s “Three on Three” series where we ask three industry executives the same three questions on a topic to uncover actionable insights… If you want to learn more, keep an eye out on our site for more interviews. Today’s Three on Three is with Vikram Somaya, GM Weather FX, The Weather Company on Putting Data to Work. A: I think we’ve been in a unique position given that the weather itself is such a unique data set. Weather is real. It isn’t household income, it isn’t level of education or other standard demographic information. It exists as a tangible thing. That helped us envision how data can work for us, as a publisher. For marketers, we combine weather and messaging with our data engine, which is integrated with our media delivery platform. In the retail world, for example, a company with 4,000 stores might let us know when a product is selling well—or not—and other information. We take this data and line it up against varying weather conditions for two to three years and effectively create predictive sales models. We can tell them that, in Miami, on a January morning, this is what people are likely to buy. On the content side, which is well-run by Neil Katz, our VP/editor-in-chief, what has been interesting is not only the weather itself, but other information around it, which we are integrating into the experience. 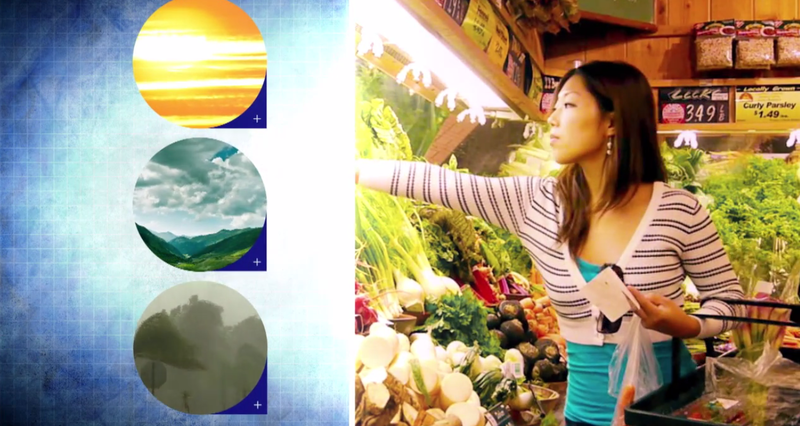 Certainly, people interested in weather are interested in other types of content as well, such as science and nature. We’ve begun to look at what content people look at based upon weather in their area. An interesting piece here has been that their actions are based not only on what the weather is, but also on how it makes them feel. 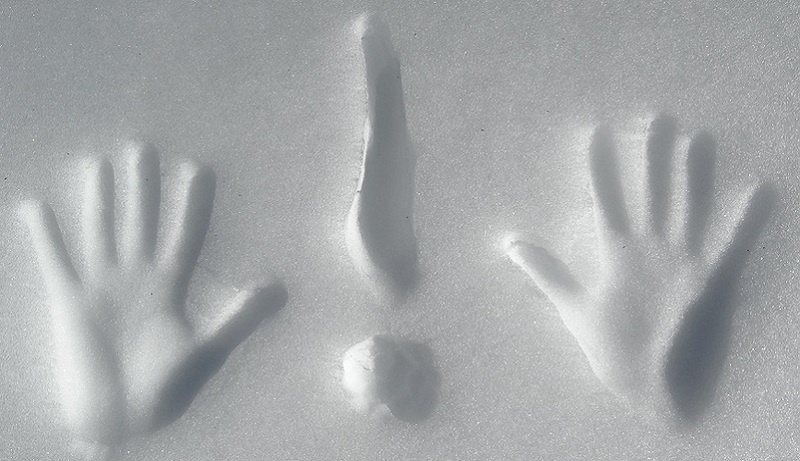 Weather has not only a direct impact on sales, but also on sentiment. If, after many days of bad weather, there are a few days of sunshine, it affects how people feel, which in turn affects what they are interested in. A: Okay, I have an example that combines both data and weather information that underlays, from a project we did with Pantene, a P&G hair care brand. Behind the weather information for any city there is a canvas that might show raindrops or bright sun and have a special type of ad format for our mobile application that can replace that canvas with weather-specific brand creative for our clients. We can match the ad to the specific weather condition. So, for Pantene, we created an index that mapped a range of hair conditions to weather conditions—which we called “the fizziness index” internally. Depending on which city you checked, we would analyze the weather for that location, then pull up the corresponding ad with the appropriate Pantene product. The results were measureable in actual sales. In towns where the ad appeared, retailers saw spikes in product sales. This is an ad unit that actually worked in the real world for sales—not just engagement and other click-through metrics. Our goal is to actually move sales. We can’t think of a more compelling argument for our marketers. Social: How old are you? Third party data: How much money do you make? Search: What are the last three things you searched online while alone? Purchase: What are the last three things you purchased online while alone? For that fifth one: No privacy concerns. The Weather Channel is in a different position than many content companies. We have been, for 30 years, the brand people come to know how to behave around weather. We don’t ask your name or personal information. We collect business data around weather data. And weather information is 100 percent opt in—you have to ask for it. I think we’re in a strange and unusual time where it is not clear who owns the information. Though I’d say that every time a publisher or marketer has cause to question “Am I doing the right thing?” the answer is probably no. With data, erring on the side of caution is the way to go. The right, fair thing to do is to protect the consumer. Another thing to keep in mind is that what we are doing with data is natural and organic to the brand itself. There are certainly other publishers for which this is true. Some are trying to put a square peg in a round hole with data. We should use data to bring value to the experience, not to shoehorn data because it is the hot thing. If there is a fundamentally organic way to build value for the user, it is worth doing. As general manager of The Weather Company’s WeatherFX division, Vikram Somaya leads the team that creates localized ad targeting solutions using Weather’s access to location data and the best, most comprehensive weather data in the world. Vikram joined The Weather Company from Thomson Reuters, where he served as vice president of global operations and audience. Previously, Vikram helped build out data-driven marketing company Bluekai as managing director of business development and channel sales. He served as executive vice president of sales and marketing at Milabra, consulting an early-stage company in machine-learning-derived technologies. He also served as vice president of strategic alliances at Phorm, an online behavioral targeting technology company, and as vice president of strategy management at Operative Media, an advertising business management company.